The head of Hollywood's chief lobbying arm ratcheted down his rhetoric Tuesday on two controversial bills before Congress aimed at combating the pirating of movies and music on the Internet. Christopher Dodd, CEO of the Motion Picture Association of America (MPAA), who has been a pit bull for Hollywood in recent days, cooled his acrimony when speaking at a panel discussion held at the Sundance Film Festival in Utah. The current volume of "white noise" surrounding anti-piracy legislation is making it impossible for productive conversations to be conducted about the issue, the former U.S. senator from Connecticut said at a festival forum, according to the Hollywood Reporter. "We've got to find a better way to have that conversation than we have in the last two weeks," he told the audience attending the event. Hyperbolic accusations that buccaneer bashers were intent on suppressing free speech on the Internet and break the Web in an irreparable way have made a discussion of the genuine concerns of intellectual property holders impossible, he said. Dodd also acknowledged that the online outpouring of opposition to the anti-piracy bills last week was a "watershed event" and something he had never seen in his three decades in public life. 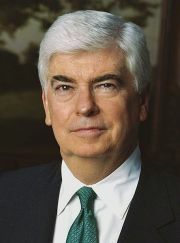 Dodd's tone at the panel discussion was far different from when he appeared on Fox News last week threatening to withhold campaign contributions from members of Congress who failed to support the Stop Online Piracy Act (SOPA) in the House and Protect IP Act (PIPA) in the Senate. That performance prompted a Texas man to start circulating an online petition calling on the White House to investigate alleged MPAA "bribery" of legislators over passage of the anti-piracy bills. 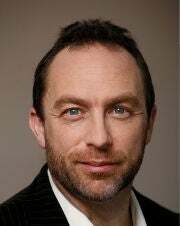 It also incited Wikipedia founder Jimmy Wales to call for Dodd's firing. As part of the protest against the bills, Wikipedia "went dark" last Wednesday. "If you are a member organization of the MPAA and this is your public representative who’s making you look like a corrupt, Congress-buying organization in front of the general public, you are not being an effective lobbyist and you are not solving the problems that the MPAA hired you to solve," Wales said at the DLD Conference in Munich, Germany, Tuesday, according to the Next Web. Wales, like Dodd, called for conciliatory talks on the anti-piracy issue. Now is the time for Hollywood to come to the table and talk with Silicon Valley with a little more humility, he said. While SOPA/PIPA appears stalled in the United States, provisions from the bills are surfacing in Canadian legislation, according to University of Ottawa law professor Michael Geist. He reports that the music industry in Canada has proposed several SOPA-like amendments to legislation currently before the country's parliament. Those amendments would give Canadian authorities the power to shut down access to suspected pirate sites and require Internet Service Providers to setup termination policies for their customers who repeatedly commit acts of piracy.